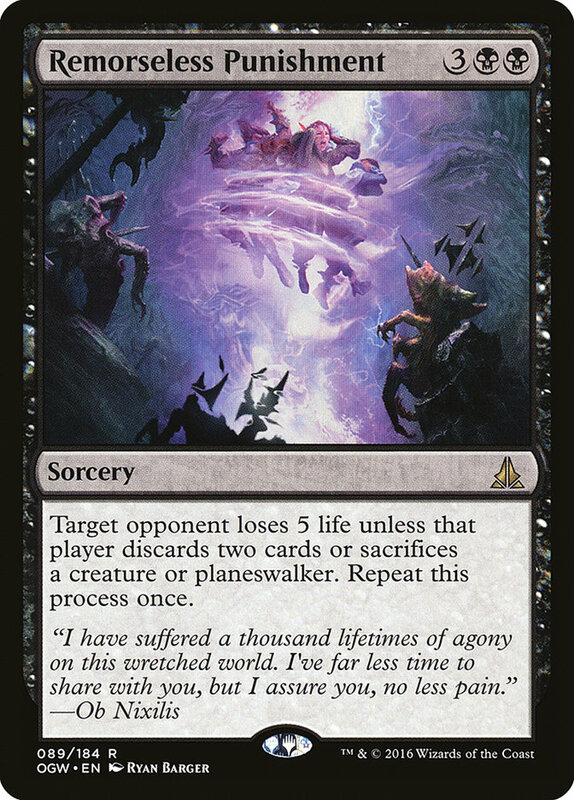 Card Text: Target opponent loses 5 life unless that player discards two cards or sacrifices a creature or planeswalker. Repeat this process once. Oracle Text: Target opponent loses 5 life unless that player discards two cards or sacrifices a creature or planeswalker. Repeat this process once. Flavor Text: "I have suffered a thousand lifetimes of agony on this wretched world. I've far less time to share with you, but I assure you, no less pain."